Human Rights At Sea issued a press release yesterday which focusses on the exposing of human rights abuses in the detention of asylum seekers arriving by sea on the island of Nauru. 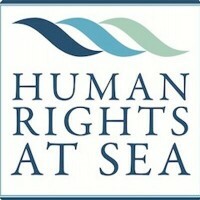 Human Rights at Sea is a charity whose aim is to explicitly raise awareness, implementation and accountability of human rights provisions throughout the maritime environment, especially where they are currently absent, ignored or being abused. Registered Charity in England and Wales No. 1161673. Registered Office: 9 Bedford Row, LONDON, WC1R 4AZ, United Kingdom.